‘Tis the season for creating holiday traditions such as this wonderful basket featuring three delightful bottles of California wine surrounded by holiday treats. Friends, family and associates both near and far will look forward to it year after year. 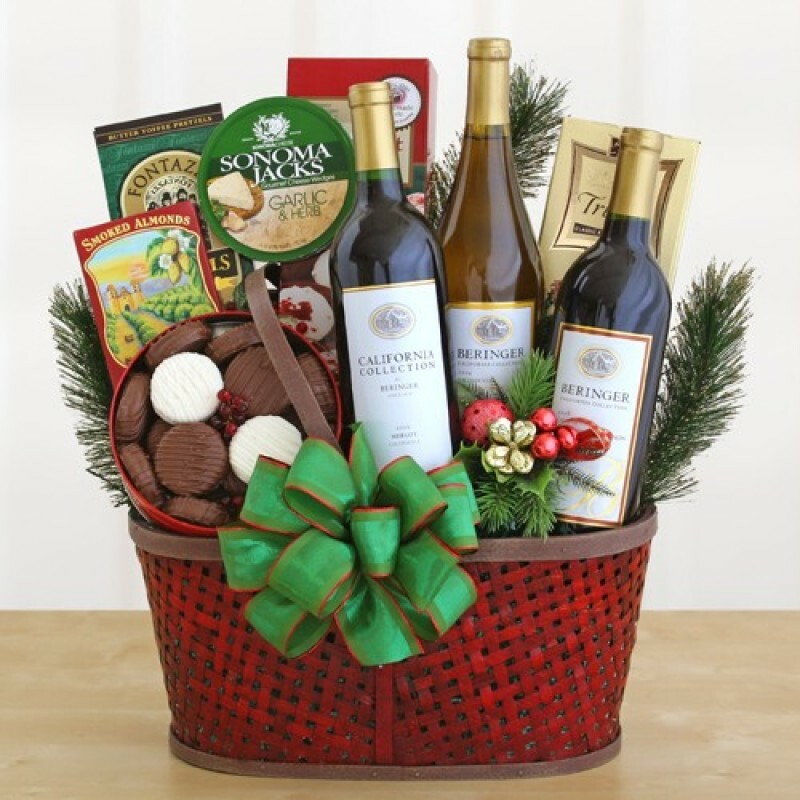 This holiday basket includes: three bottles of California wine: a cabernet sauvignon, a merlot and a chardonnay, red velvet cookies, a tin filled with chocolate-covered sandwich cookies, butter toffee pretzels, cheese, California smoked almonds and truffles.